Hubz: Have you signed up for Desert Solstice yet? Me: Because I’m not sure if I’m trained up enough. Hubz: You say that before every race. Me: Well, this time I mean it. Hubz: You say that before every race, too. Me: Well, this time I double mean it. Hubz: Okay, this is ridiculous. Me: Stop pushing me! I’m already feeling stressed about it. Hubz: I’m not pushing you, but we need to make reservations if you are planning to go. I don’t want this to cost a fortune. Me: So, you’re saying that saving $50 is worth making me an insane person? Hubz: There’s no good way to answer that, is there? Me: When will you learn that these conversations are never worth the $50 you might save? In fact, I’m actually saving you money by waiting. Hubz: Hmmm…how? The entry fee will be double. The plane fare will be double. And the hotel will probably be double. Me: Because, tricking myself into believing I’m not running until the very last minute keeps me from freaking out and ending up in crazy town. Trust me, crazy town is expensive. Hubz: You are hearing yourself, right? Me: I know what I’m talking about. Hubz: I would just think after all the years of doing this you would have learned some things. Me: I’ve learned how to pee standing up without wetting myself and that Chocolate Outrage GU tastes the best going down but the worst coming back up. Hubz: Sounds like our money has been well spent, then. P.S. I signed up for the race because I knew it would be more expensive if Hubz had a stroke over it. Dammit, you are hilarious. Love seeing your posts pop up! LOVE this!!! Y’all’s whole conversation made me laugh – great post today since I needed a good laugh! And – good luck in the race!!! Thanks, Kim! My job in life is to drive Hubz to distraction. And I take it seriously. Priceless. I guess my life is complete because standing peeing was the first thing I learned, and in my experience chocolate gels taste the worst either down or up. olga recently posted…The party downer. Totally logical! You – not him. I don’t know why he bothers to argue with you because you’re always right! 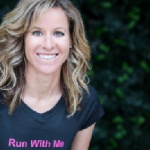 Char recently posted…Running With Purpose. Right on, Olga! The peeing thing is important! Thank you, Char! Now, would you mind e-mailing Hubz? Thanks for stopping by, Gigi! Even though Hubz has never said it to my face, I think you must be right. I mean, don’t men love to brag about how THEY can just pee anywhere any time? Yeah – so glad you signed up! Bring your friends and it’ll be a rocking great party out there! 🙂 Also, if you wanted to write the post “24 hour racing for dummies”, I’d appreciate it!